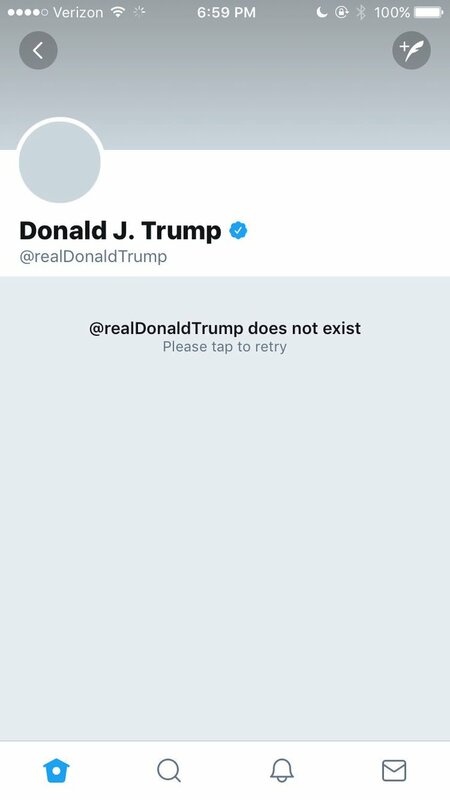 Yesterday for 11 minutes Trumps Twitter was deactivated. This was done by an employee that was on their last day with only a few hours left on the job. Twitter had a hay day going on about Twitter without The Real Donald Trump. Trump's account disappeared at around 7 p.m. ET Thursday, when visitors to the page were met with the message, “Sorry,that page doesn't exist!” For about an hour, even after the account returned, the Twittersphere joked about the short-lived window of history without @realDonaldTrump.